Are you in need of an eleventh-hour Valentine? My favorite thing about these is the little bit of room for personalization. Within the name banners, of course, but also re: glitter choice. The warm silver glitter had a lovely old-timey effect, while classic red was so exuberant and, well, classic. And even if you don't glitterize them, I think they're sweet just as they are (as seen in the first photo.) I printed mine on 4"x6" cream-colored postcard stock. Please note: these are for personal use only, and are not to be sold or used for commercial purposes by any person or business, little or big. 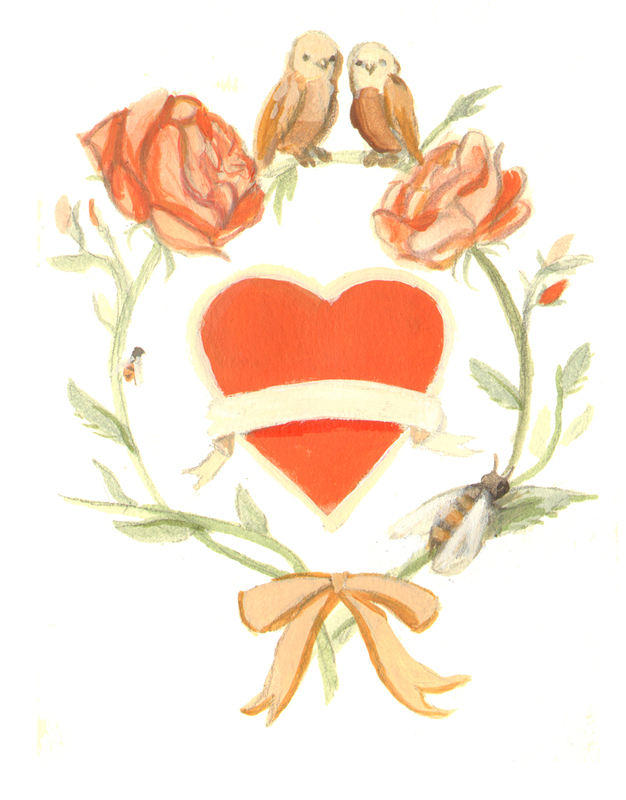 Happy Valentine's Day, sweet peas!